Late Bloomer. Daisy-like flowers, bluish rays, yellow disks. 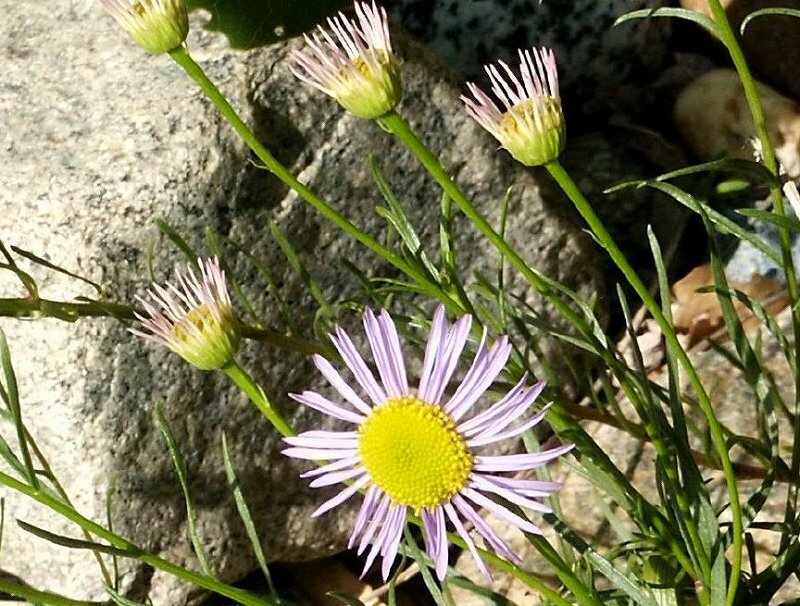 Also called Foothill Fleabane, Leafy Daisy.